Want to buy new shoes at less price? Then this offer is for you Buy this Men’s Shoes at a steal price. So, Hurry up!! and grab it fast before the deal ends. 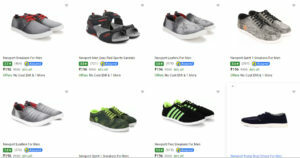 How to buy Shoes Starting At Rs.196 Only?